"Thank you for making my daughter's day so special. Everyone I visited with at the wedding commented on the gorgeous arrangements and I was lucky enough to take two arrangements back to my house after the wedding and they have made me smile all week." "Thank you for the stunning wreaths you provided so quickly...I cannot express my gratitude enough - I have handed out all your cards as so many wanted to know whose work they were. You are extremely talented and gracious." "I can't tell you how much I appreciated your thoughtfulness in sending flowers - beautiful, as always - on my birthday. There are many 'firsts' after someone so dear dies, and in my case it was my birthday. Thank you so much. I'd like to say again how beautiful your floral arrangements were for ----'s funeral. They added significantly to what I think was the warmest, loveliest funeral I've ever attended." "The flowers were frequently complimented...I found it so interesting that after the high praise came the question - did Darrell do them? Your reputation is indeed widespread! Thank you so much for all the gorgeous flowers and arrangements." "Dear Darrell and all the lovely people at Village Greenery - thank you for the beautiful bouquet for my birthday - just a glance at it, I knew where it came from. Thank you for the nice things you do for me all year round." "Thank you so much for all the effort you and your staff put into making exquisite floral arrangements for our annual fundraising event...you are so creative, flexible, and enthusiastic; you are such a joy to work with...I appreciate you going above and beyond the call of duty of any florist on Valentine's Day. Your attention to detail and putting your personal touch on each arrangement made for a stunning and elegant backdrop to the evening." "When I saw the arrangement my first thoughts were - those flowers are beautifully arranged and they are from Village Greenery and Flowers - I was not wrong!" "Your efforts made the whole school look good for the event and the alumni really enjoyed themselves. Thank you for all you have done to help us with this event and all the events we have put on during these last 12 years. It is always a pleasure working with you and your staff. You do great work!" "Thank you so very much for taking the time to make those gorgeous flower arrangements...they were beautiful and added a perfect touch to the evening. Please thank your staff for working so hard to make the evening special! You guys are the best!" 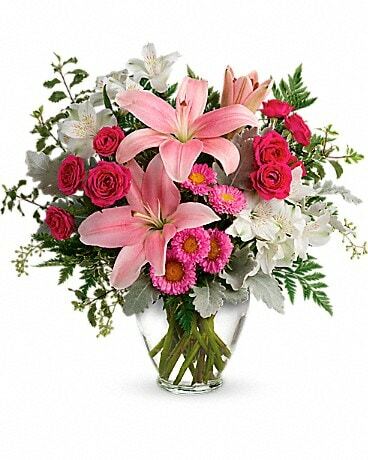 "It is very hard to find a good florist when one is out of the country and I think now I have found one. I will definitely be using Village Greenery again for all my floral needs in Houston. Many thanks." "It's a week later and the lilies you gave me still look great in my office!...I look forward to working with you on future occasions." "What a treat the floral basket has been - new 'surprises' are opening each day...Thank you for the gift and lovely orchid arrangements. We are still hearing comments on them with many delighted to report of new blooms from last years arrangement." "Many thanks for the fabulous floral arrangement you sent to us, that was so kind and thoughtful...It was my pleasure to work with you through the years - I always felt confident you would deliver a 'wow' arrangement on our behalf." "You certainly know how to brighten someone's day...the beautiful vase with the assorted perfect Spring flowers arrived as such a nice surprise!" "The flowers are fabulous! They are really beautiful - elegant and exotic." "We really can't say enough about your generosity. You really contributed to making everything perfect for us and we will never forget it. Thank you!" "Thank you for the flowers and everything. I think that flower shop is fun. The flowers smelled good!" "I will continue to send business your way!"